There are few things quite so subjective as comedy, and few directors whose work has proven to be as divisive over the years as that of Mel Brooks (1926-). Beloved by his fans and equally praised and derided by the critics at various points throughout his long career, Brooks is a creative polymath, a comic talent to be reckoned with - influential, fearless and totally unafraid of his detractors. Yet whether you admire his work or not, one thing remains absolutely certain: this larger-than-life character is a very difficult man to ignore. Mel Brooks has been immortalised as the definitive maestro of big-screen bad taste, a pioneer of the cinematic spoof. But throughout his film-making career, his ardent championship of personal liberty is too often neglected. 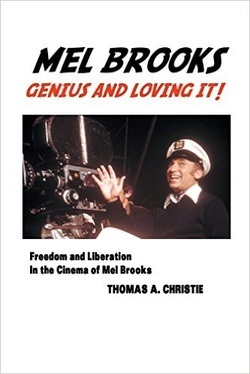 Examining all eleven of the movies that Brooks directed, from The Producers (1968) to Dracula: Dead and Loving It (1995), this book examines the way that this most distinctive of cinematic visionaries came to earnestly and vigorously defend freedom in all of its forms, whether creative, individual, social, cultural or political. 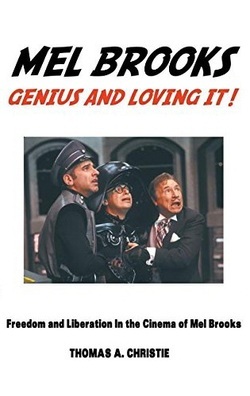 This book discusses themes of liberation and freedom in each of the films that Mel Brooks has directed, including The Producers (1968), The Twelve Chairs (1970), Blazing Saddles (1974), Young Frankenstein (1974), Silent Movie (1976), High Anxiety (1977), History of the World: Part I (1981), Spaceballs (1987), Life Stinks (1991), Robin Hood: Men in Tights (1993), and Dracula: Dead and Loving It (1995). The book is illustrated throughout, drawing from the entirety of Brooks's directorial career. Mel Brooks is one of the most unique talents in modern cinema. His films may be painstakingly crafted to make audiences laugh, but they will also make them think. His landmark comedies between the late sixties and mid-seventies have gone down in the annals of cinematic comedy legend, but there is much to commend many of the less well-known movies in his filmography too: even when his work was being treated with critical hostility, there was no disguising the sheer energy behind Brooks's freewheeling creativity or his relentless desire to encourage the public to harness the full potential of their individual lives. Whether in celebrated films such as Blazing Saddles and Young Frankenstein or his more obscure features including The Twelve Chairs and Life Stinks, Brooks continually emphasises the need to celebrate freedom, revel in the small pleasures of life, and oppose tyranny and abuse of authority in all of its forms. With such a life-enhancing worldview, it is no surprise that Brooks has become such a popular figure across many forms of media; he is one of the entertainment industry's true survivors, and his movies continue to find new admirers even today. This book examines exactly why so many of his films have generated such enduring appeal, and outlines the many aspects of his comedic approach that have marked him out as such a distinctive voice in American cinema.